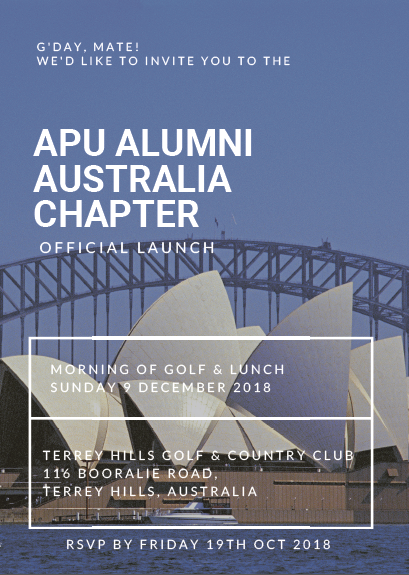 We’d like to let you know that you’re all invited to our very own “Australia Chapter Official Launch” in Sydney! **For those who do not play golf , please do join us for our official launch lunch at the golf club. The golf & lunch are all paid-for for everyone so please come enjoy yourself and get to know more APU families! We may have the APU officials joining us as well.